Still Want to Make a Gift? Thank you to all the Terps who supported the University of Maryland on Giving Day! Alumni, students, parents, friends, faculty and staff came together to raise critical funding so that students and faculty can pursue their Fearless Ideas. 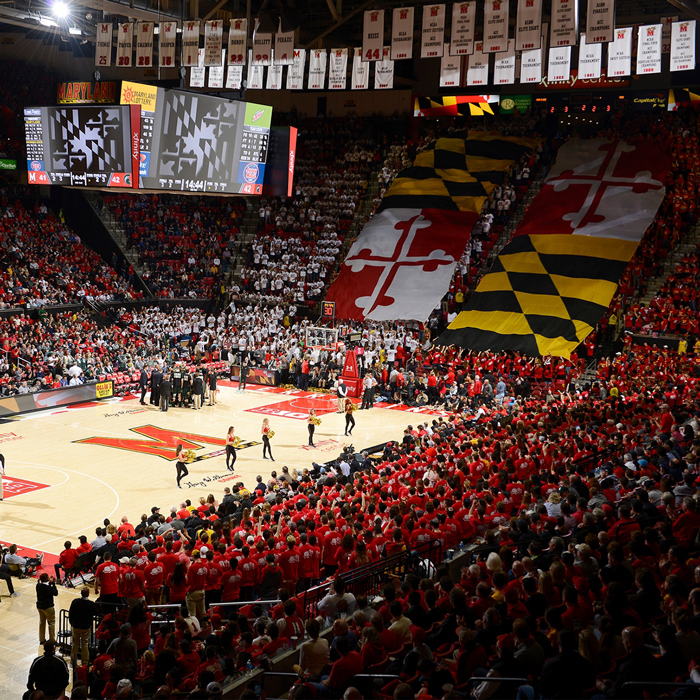 Your support proved that we are all Terps. A special thank you to Michael and Debbie Schwab & Family, the Clarvit Family, A. James & Alice B. Clark Foundation, Alma '53 and Joe '51 Gildenhorn, the College of Education’s Board of Visitors, Steve Leonard '78, Robert Satterfield '95, the Parent and Family Advisory Council, Dean Dr. Jane E. Clark and Dr. Jill Whitall, Dean Dr. Robert S. Gold and Ms. Barbara A. Gold, Dean Dr. Boris Lushniak and Dr. Patricia Cusumano, Ranjana and Ashok V. Kulkarni Ph.D. '76, Craig S. Spangler '82, and Robert Infantino and Doris Campos-Infantino, for providing matching funds that spurred new donations and elevated Maryland’s Giving Day to new heights. Additionally, thank you to Bill Pugh, Ph.D., professor emeritus in Computer Science, who with his wife Lisa Orange, made a $750,000 gift to establish a campus-wide Makerspace initiative in the new Brendan Iribe Center for Computer Science and Engineering. Congratulations to all Giving Day prize winners and a huge thanks to those who helped each fund earn them!